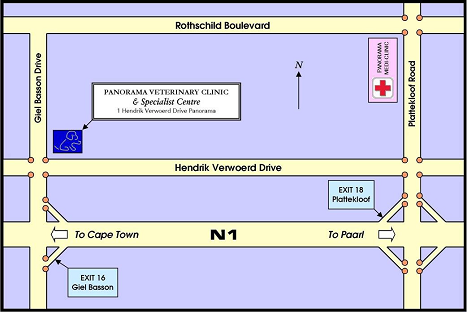 Panorama Veterinary Clinic and Specialist Centre is open 24 hours a day 365 days a year for clinical veterinary emergencies. Do not feed your pet. If you suspect your pet was poisoned, try to bring the offending package with. If your pet is bleeding, apply pressure to the area with a clean towel or bandage. To allow us to provide you and your pets with the best possible service, we have resident veterinarians on duty 24 hours a day. A surcharge is levied after 19h00 weekdays, after 13h00 on Saturdays, and on Sundays and Public Holidays. 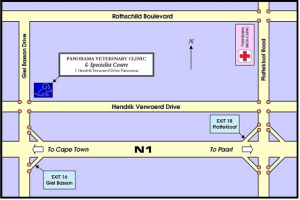 Please don’t hesitate to call us on (021) 930-6632 should you have an emergency.